Today is the birthday of Charles Darwin. Despite those intellectuals like Sarah Palin who believe that Earth is only a few thousand years old and deny evolution as a “theory,” Darwin continue to rack up proof of his work. With perfect timing for the great man’s 205th, American and European researchers have confirmed the Cretaceous-Paleogene extinction during which roughly 75% of the planet’s species were killed, including almost every dinosaur, by an asteroid impact. The result was the evolution of species best suited to deal with the aftermath of the explosion 66 million years ago. Of course, for creationists, the dating of material from 66 million years ago may be rejected as simply biblically inaccurate (if not immoral), but for the rest of us it is an important new development. While Darwin did not know of the asteroid theory or the demise of the dinosaurs, he knew a lot about adaptation and survival of the fittest. Dinosaurs went from being the dominant creatures to the least competitive in the new environment. The asteroid that hit Chicxulub, Mexico released 420 zettajoules of energy — 100 teratonnes of TNT. The resulting dust cloud blocked out the Sun and triggered the die out — further accelerated by massive global fires. The problem is that previous attempts to date material showed that the asteroid impact occurred up to 300,000 years before the extinction of the dinosaurs. However, scientists decided to return to the site and use more modern equipment. The difference was considerable. The modern equipment reduced the gap to a period of 11,000 years or between 66.03 and 66.04 million years ago. The would make it almost simultaneous with the Cretaceous-Paleogene extinction. Those that could adapt then survived. Those who could not died off. Then 205 years ago, a man named Charles Darwin came along and explained it to the rest of us. 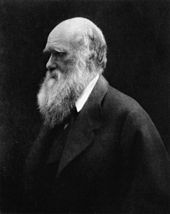 Darwin was a racist? As his words say. Or was he casting a bone to the religionists that existed in his time. Is the academic world better today. Not if you believe Chomsky, Smolin, and many others. Who has got sh*t lately. Like the in vitro conception doc in England. Like the Austrlian pair who revealed a primary cause for peptic ulcers. Let us stand united or we shall die separately. Remembered from somewhere.